Test systems are so critical to the proper functioning of medical products that they are, in fact, considered medical products themselves. Sanmina understands the associated demands and employs the most stringent manufacturing protocols in designing and producing medical test systems. In accordance with FDA regulations, design history file (DHF) databases are created for all functional testers to store test records, calibration and component traceability. 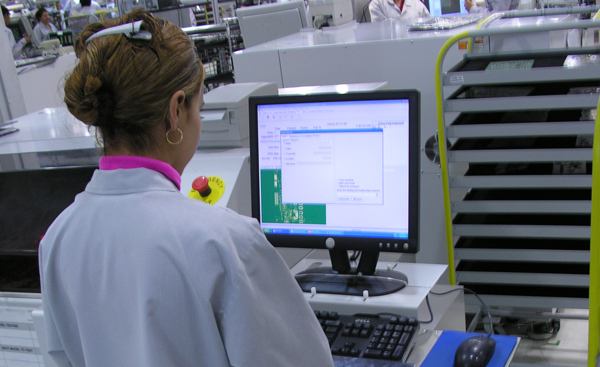 Quality test system design is a critical component to medical products. Sanmina excels at meeting the challenges of test system design. Whether creating a manual, semi-automated or fully automated functional tester, we provide targeted solutions that deliver results. For one high-volume medical product, Sanmina developed a functional test and calibration system that facilitated easy conversion from one product variation to another. A results database was also installed to capture automatic reporting from the shop floor data collection (SFDC) system. For a customer seeking a low-cost, portable tester to be used in a high-mix environment, Sanmina leveraged its own sequencer, tools and rack to deliver an economical yet versatile product that exceeded customer expectations. With a dedicated medical division and years of expertise manufacturing complete medical systems, Sanmina is uniquely situated to produce cost-efficient and highly reliable functional testers.